The eighty third annual meeting of the Society was held in Prestonkirk Stables on Saturday 26th May 2007. Nineteen members were welcomed by the President. The minutes of the previous year’s meeting were approved, as was the Treasurer’s report. The President thanked Mr Mayo for his work on behalf of the society and also Mr John Sparksman who had taken over from Mr Len Chalke whose death had been reported at the previous AGM. It was noted that there had been exceptional expenditure because the Society had funded the publication of Volume Four of the Fourth Statistical Account. The accounts were approved on the proposal of Vicki Fletcher seconded by Bill Dodd. The Annual Report was also accepted. The President reported that the Annual Dinner had been held in the Maitlandfield Hotel and that Herbert Coutts, a member of the Society, had given a fascinating illustrated talk on some of the exhibitions he had mounted during his period as Director of Culture for Edinburgh City Council. The office bearers were re elected with the exception of Mrs I Gristwood, who had indicated that she wished to stand down. The post of Press Officer remained vacant. Mrs Gristwood was thanked for the work she had done in the year she held the post. Mrs Gristwood and Mrs Crow resigned as members of Council. Mrs Kemball was due to retire but was eligible for re election and was re-elected. Mr D Affleck and Mr B Dodd were elected as members of Council. Members agreed the following amendment to the constitution: a change to clause 8 to delete the words “and an advertisement shall also appear in the local newspaper or newspapers ”. It was announced and agreed that as East Linton Local History Society was being wound up, the Society would take over their remaining funds and the remaining stock of “ By the Linn Rocks”. Tea was provided after which Gary Menzies conducted a tour of the Graveyard. On 22nd June members visited Innerwick. They assembled in the Church where the President gave an outline of its history and this was followed by a tour of the village in heavy rain. Mrs A Younger showed her house and garden and Miss E MacGregor entertained members to tea in the village Hall. Part of the Innerwick millennium exhibition was on display. On Saturday 14th July a visit was made by coach to Monteviot, the home of the Marquess of Lothian (Michael Ancram).The visit to the fine house and garden was greatly enjoyed. On 25th August, members visited Broxmouth by kind invitation of Mr and Mrs Simon Flame. The President outlined the history of the mansion and Simon Flame outlined his proposals for the estate. Members were entertained to tea, and then had a comprehensive tour of the house and policies. On Saturday 8th September members visited the Life Science Trust establishment at Pishwanton. The Director, Dr Margaret Colquhoun, talked about the Trust and its work and led a tour of the areas showing the work of the Trust. On Saturday 13th October members visited the Kirk of the Canongate where The Rev Neil Gardner, a member of the Society, welcomed them and gave an outline of the history of the church and of his ministry there. David Affleck gave a brief recital so that members could get some idea of the potential of the fine organ. Members were entertained to tea and then visited the churchyard. Three lectures were given in the course of the season. On Friday 21st September, as a prelude to East Linton Apple Day, David Affleck gave a lecture in Prestonkirk parish church, on Sir George Buchan-Hepburn and the development of horticulture in East Lothian. On Thursday 8th November, John Hunt gave an illustrated lecture on the history of and recent development of the Seabird Centre within the Centre. The attendance was affected by the North Sea surge that evening but it was much enjoyed by those who had braved the elements. On 7th February Dr A Moffat gave a further lecture on Soutra entitled “More Medicine from the Mud”, which gave a fascinating insight to the hunger repelling prospects of the tubers of bitter vetch (Lathyrus linifolius). The Annual Dinner was held in the Maitlandfield Hotel in Haddington on Friday 18th April when Mr Ralph Moffat, who has since taken up a post as curator at the Kelvingrove Museum, gave an illustrated talk entitled “A hard harnest man – The armour of George Dunbar the 9th Earl of Dunbar and March”. Volume XXVII of the Transactions is complete and will be issued shortly. The President represents the Society on the Traprain Law Advisory Group and on the John Muir Park Advisory group, both of which he chairs. Mr J Hunt represents the Society on the Aberlady Bay Advisory group. The Secretary represents the Society on the East Lothian Heritage Forum. 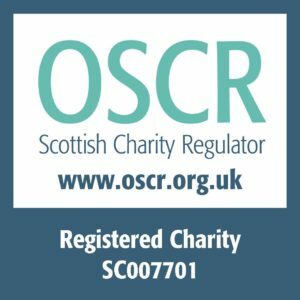 The Society continues to support the work of the Scottish Local History Forum and the Architectural Heritage Society of Scotland. Volume VI of the Fourth Statistical Account of East Lothian will be published in May. The Society is vigilant in the face of threats to our heritage of buildings and landscape. Membership of the Society is steady. An encouraging number of new members have joined in the course of the year. The Transactions are held in high regard. They are lodged in the copyright libraries and are purchased by academic and other libraries. They are issued to secondary schools in East Lothian and to Loretto and Belhaven Hill School. Information about the society has been put on the web and in a number of international directories. Enquiries about the Society and about East Lothian continue to be received. This entry was posted in Annual Report on April 10, 2008 by eastlothianantiquarians.